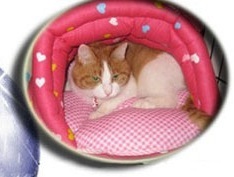 This cozy and snug pet house is hard for your darling pet - be it a puppy or a kitty - to resist. With its bright and cheery color and prints, this pet house is a must buy for Mommy to give her darling pet a welcoming alternative to napping on the cold floor or hard cement patio. 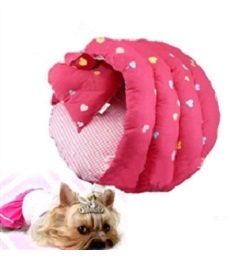 This Pet Dog house is made from resilient high quality material and can be used for a long time. It is lightweight and easy to move to your darling pet's favorite spot.